Alentejo is the widest region of Portugal. Here the landscape is “gentle” composed by rolling hills covered by cork oak trees, vineyards and wheat fields. The lifestyle is serene in the small villages with white washed houses where the time slowly passes by… The gastronomy is robust and creative with wines to match it, in contrast with the calmness of the local people of the region. Évora is a beautiful small town and the most important of the Alentejo region. Still surrounded by the old walls it is a World Heritage Site by UNESCO and will attract you for its medieval appearance, the narrow streets, the historic centre and the kindness of the locals. Amongst several interesting monuments, you shall not miss the Roman Temple from the 1st century, unique of this kind in Portugal. This is also the perfect place for a great gastronomic and wine experience, as this is one of the regions in Portugal with more traditional and quality at this level. You shall not miss the opportunity of having a meal in one of the city’s restaurants. Sail the Douro River with Uniworld and discover why National Geographic Traveler ranks Portugal’s Douro Valley #7 in their “World’s Great Place: 133 Destinations” survey, and why it is listed a UNESCO World Heritage Site. This is a spectacular journey and one of our very favorites!!! 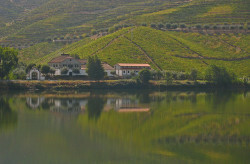 Cruise & Air Savings: SAVE $1,000 per couple on Portugal, Spain & the Douro River Valley Boutique River Cruises on November 3 and November 10, 2011 departure dates. 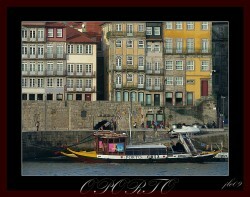 Book your Douro River Valley cruise/tour and air package now—Offer expires April 30, 2011. PORTUGALis a cultural delight that shares the Iberian Peninsula with Spain. As a PORTUGAL SPECIALIST, Trisha has traveled extensively throughout Portugal and is very familiar with each area. In the midst of medieval castles and modern shops, Roman, Gothic and Manueline monuments, beaches with deep blue seas and rolling green plains disappearing into the distance, historic villages and luxury resorts, the sophisticated cuisine of great chefs and the simple delights that the sea can offer, contemporary art museums and prehistoric rock drawings, golf courses and busy, vibrant avenues, there lives a people who are creative, open and welcoming, who wish to share with you the best of everything that they have and know about, appealing to your senses and celebrating life. Portugal always surprises visitors with its beauty and extensive preservation. From the popular beaches and world-class golf resorts of the Algarve in the south to its beautifully preserved towns and palaces and scenic beauty in central and northern Portugal, there are a countless wonderful things to see and do. 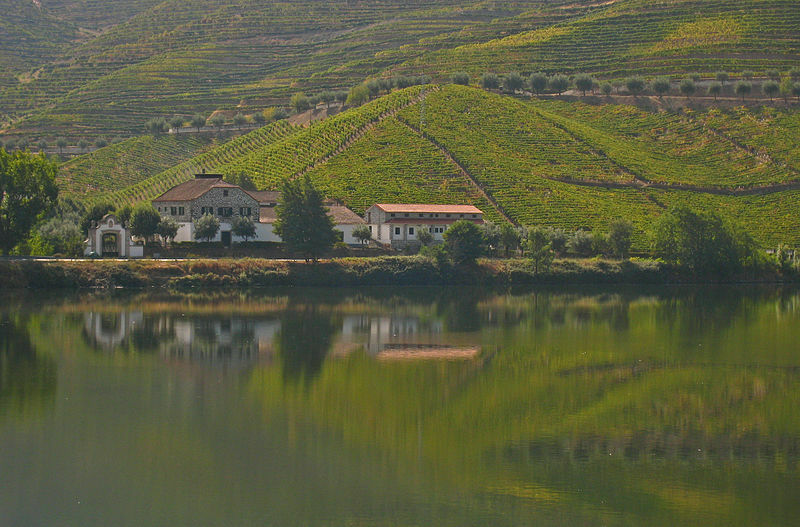 A cruise along the ubelievably scenic Douro River is nothing short of awesome! The fabulous wines and port wines produced in this and other areas of Portugal should not be missed. The “Jewel in The Crown” for Portugal is the stunning island of Madeira set in the Atlantic off the coast of Morocco. Portugal is guaranteed to enthrall the visitor at every turn. Blue sunny skies and lovely warm weather greeted me when I arrived in Porto on the first of February and stayed with us throughout our stay in Portugal for the International Wine Tourism Conference. Here along with tour operators and journalists from around the world, I met with wine tourism representatives from all over Portugal, Spain, Italy, France, Croatia, South Africa and South America giving us information on their amazing accommodations, wine tours and tasting opportunities. Following the conference and workshop, I set off on a tour of the Dao and Douro Valley wine regions where we visited several beautiful properties along with quite a few “quintas” (Portuguese wineries). While Portugal is well known for its fabulous Port Wine, it is not as well known for the several areas producing excellent red and white table wines. Portugal has emerged from the shadows to become one of the monst interesting and exciting red wine producing regions in the world. The producers and hoteliers have come together to offer a wide range of exciting food and wine programs for visitors to their country. I finished my visit to Portugal with a few days revisiting Lisbon where I met with my local representative and looked at several beautiful properties in and around the city including some new and exciting hotels I know that our clients will love. Portugal is a fabulous destination year round and should be high on everyone’s must see list…..